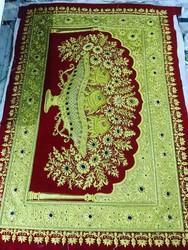 beautiful hand embroied jewel carpet.size 5'×3'. 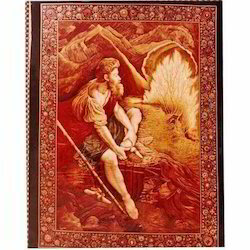 Available with us is this dynamically designed handmade woollen carpet that is an antique recreation made with Agra fine weaves. Further, this beautiful Handmade Woollen Carpet is hand knotted with woolen pile and is dyed using special grade natural dyes.